Add a homemade touch to your tree this year with one (or more!) 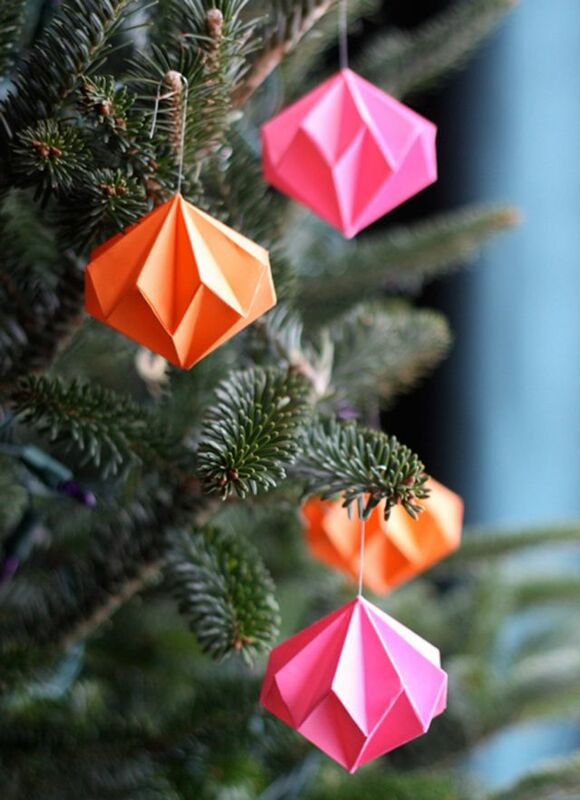 of these DIY Christmas ornaments. From classic to modern, there is no shortage of ideas in this roundup of ornaments that you can make. Looking for even more ideas? Check out these creative ways you can fill a clear bulb ornament. The classic Peanuts characters come to life in this easy DIY. 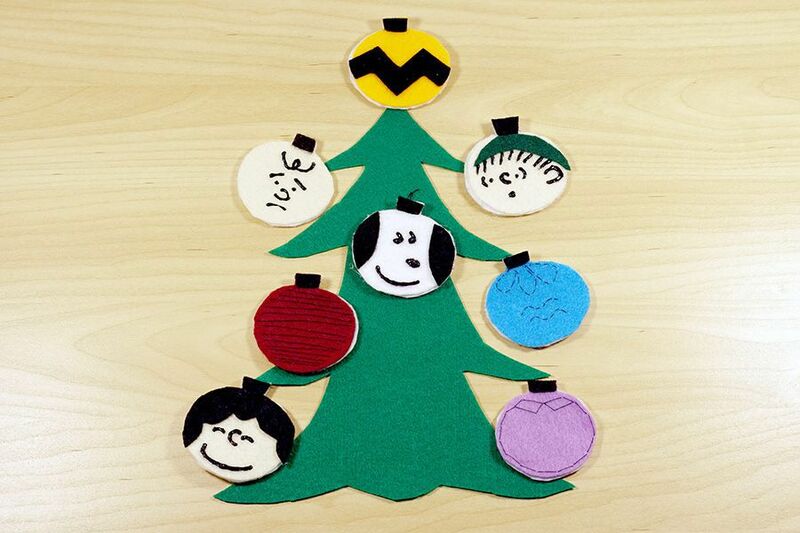 Put on A Charlie Brown Christmas, pop some popcorn, and get the whole family together to make these easy felt ornaments, which would look adorable on any tree, no matter how small or sad looking (after all, Thanks to Linus, we know the true meaning of the holiday isn't about the tree!). These DIY ornaments double as place cards. Make one for each of your guests at your next holiday event, and they can take them home as party favors to hang on their tree. Just don't forget to make one for your own family! If love French macarons why not add a handmade macaron ornament to your tree to make you smile. Gather pine cones outdoors and add glitter onto them to create ornaments for your Christmas tree. Simple, inexpensive, and goes with every tree! These DIY ornaments really couldn't be any easier. Play with a large array of bold colors and prints for a whimsical Christmas tree. This adorable mug of hot cocoa can easily be made using some piece of inexpensive craft felt. Calling all needle crafters! These mini hoops are adorable and easily customized with any stitching or pattern. Make these for your tree or give them as a gift. Make this coffee cup ornament for the coffee lover in your home. Despite being called "Quilted," these ornaments are actually no-sew! Follow this tutorial to learn how to create the classic layered pattern. Once you make one, the rest come together quickly, and you can craft a whole bunch of these to give away as gifts! Give your Christmas tree a woodland animal theme by making these wonderful animal ornaments. String an extra copy of a house key up on your tree to celebrate the memory of your first home together as a couple. Pour paint inside a clear ornament to give them some color. Celebrating your first year engaged or married, or simply love diamonds than this ornament is perfect for you. These adorable knit ornaments would add a cozy, homemade touch to any tree. From classic Christmas symbols like a Santa hat and bell to a more nostalgic winter staple (when's the last time you bought a pair of mittens held together by string? ), you'll feel compelled to stitch all three! Glue scrabble pieces together to create ornaments that spell holidays words or phrases. Help your house smell like freshly baked gingerbread cookies with these fun cinnamon scented ornaments. From that necklace with the missing gem that you love and can't bear to throw away to your one earring that lost it's pair, take your broken bling and transform it into holiday decorations for your tree! Add a touch of silver to your Christmas tree with this simple to make DIY ornament. Add a personal touch to your Christmas tree by making an a monogram ornament to hang in your tree. Give your Christmas tree a sweets theme by making these gingerbread cookie ornaments. Using decorative paper fold a origami diamond in your choice of color. Create a glittering letter for the first letter of your name and hang it in your Christmas tree. Try working with beeswax for this original do it yourself Christmas ornament. Make your ornaments look like beautiful sea glass with this do it yourself project.